Fleets are being warned of the need to carry out whole-life cost analysis before switching away from diesel vehicles as latest research finds almost two third sof larger businesses are considering phasing it out. Research by RAC Business among 1,000 UK firms running cars and vans found 62% of large businesses with between 250 and 499 staff are considering phasing out their diesel vehicles compared to just 33% among small firms with less than 10 employees. Overall, nearly half (47%) of businesses of any size say they are thinking about moving away from diesel. However, the analysis found a lack of suitable alternatives was stopping many fleets from making a move. Among larger fleets, 48% of businesses said vehicles they need for their fleet only come with diesel engines, averaging 39% across fleets of all sizes. And four in 10 (40%) large firms (500-999 employees) said they are not confident in the range capability of most EVs currently available . The findings follow latest SMMT figures that show diesel registrations fell 17.1% throughout 2017 with a 31.1% decline in December – but the RAC is warning businesses that their concerns may be misplaced. RAC Fuel Watch spokesman Simon Williams highlighted that many new diesel vehicles perform significantly better in terms of nitrogen dioxide emissions than their predecessors and even some older petrol vehicles – and also bring other fleet benefits. He explained: “Diesel engines have always been the go-to vehicle for businesses due to their superior fuel economy, their longer engine life and their ability to move heavier loads making them more cost-effective and practical. 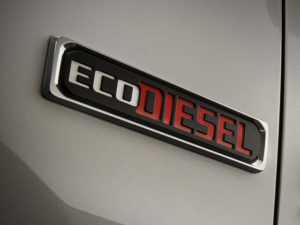 His comments echo those of fleet management software and tracking provider FleetCheck, which has warned in recent months that ongoing diesel backlash is particularly impacting on CV fleets and frequently does not appreciate the strides made in reducing harmful diesel emissions in recent years. Meanwhile Pendragon Vehicle Management has said that diesel is still the ‘only realistic choice’ for workhorse fleets and added that switching business-critical and high-mileage fleets to ULEVs would cost fleets more and impact on day-to-day operations. ACFO has also made a clarion call that businesses should research the impact of any switch away from diesel before taking action.